Regular readers know my rail interests are focused on a point almost one hundred years ago, but the other day I witnessed a ceremony opening a modern rail facility. I drove about ten miles west of El Paso to the far western edge of Santa Teresa, New Mexico on May 28th. 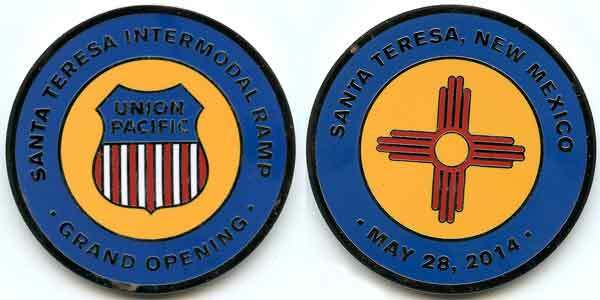 What was once a bare spot in the desert is now the $400 million dollar Santa Teresa Intermodal Ramp rail facility. Click on any image here to review a large size.